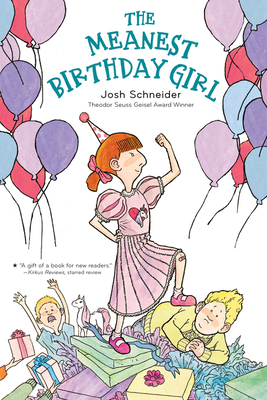 Josh Schneider is the Theodor Seuss Geisel Award-winning creator of Tales for Very Picky Eaters, as well as The Meanest Birthday Girl. His first book for Clarion, You'll Be Sorry, was named "Book That Provides Best Ammunition to Parents Weary of Warning Their Kids About Socking Their Siblings" by Publishers Weekly magazine. He lives in Chicago, Illinois. "Schneider seems to draw inspiration from both O. Henry and Edward Gorey, with deadpan, dead-on writing and meticulously inked, elegantly styled watercolors." "Schneider's multimedia illustrations employ the same humorous, expressive line seen in his Geisel Award-winning Tales for Very Picky Eaters (2011), delivering a remarkable package. A gift of a book for new readers." "Schneider's watercolor, ink, and pencil illustrations have humor and sweetness." "In five short, humorous stories, with whimsical watercolor illustrations, this beginning chapter book by a Geisel Award winner should appeal to every new reader's sense of fun, especially if they've ever had a diva moment. And really, who hasn't?"